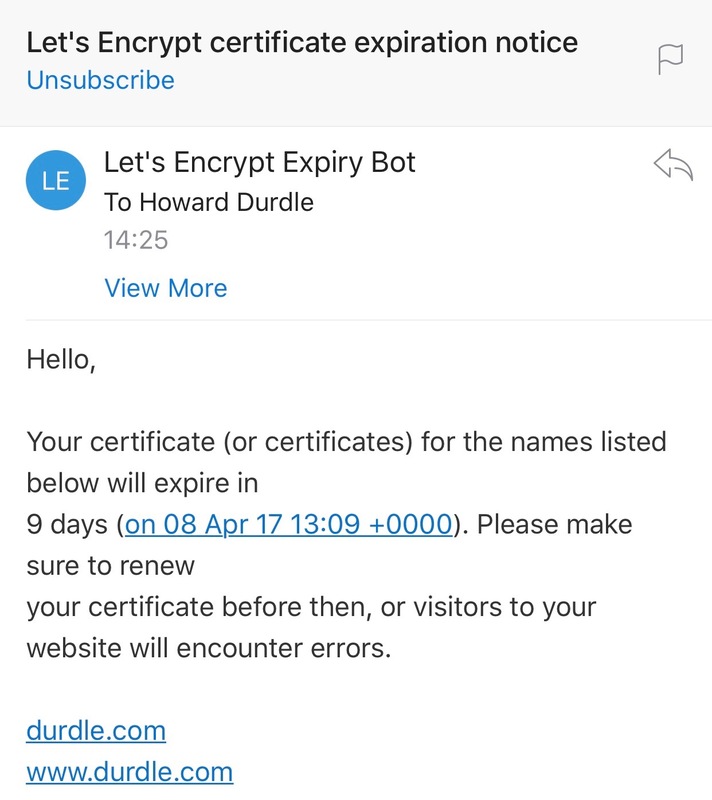 Since this was my first experience relying on the certbot tool to refresh a certificate, I was interested to see if it was going to work. The cron job I created was set to run at 2.30am every Monday, so I assumed I’d see the certificate update on the 3rd of April. Success! It happened so easily I didn’t even notice. Score 1 for LetsEncrypt. The more I use LE and their tooling, the more impressed I am. While the Powershell libraries have lagged a little behind the certbot tool, they’re catching up fast. My team are evaluating use of LE within Docker containers at the moment which also looks quite promising. 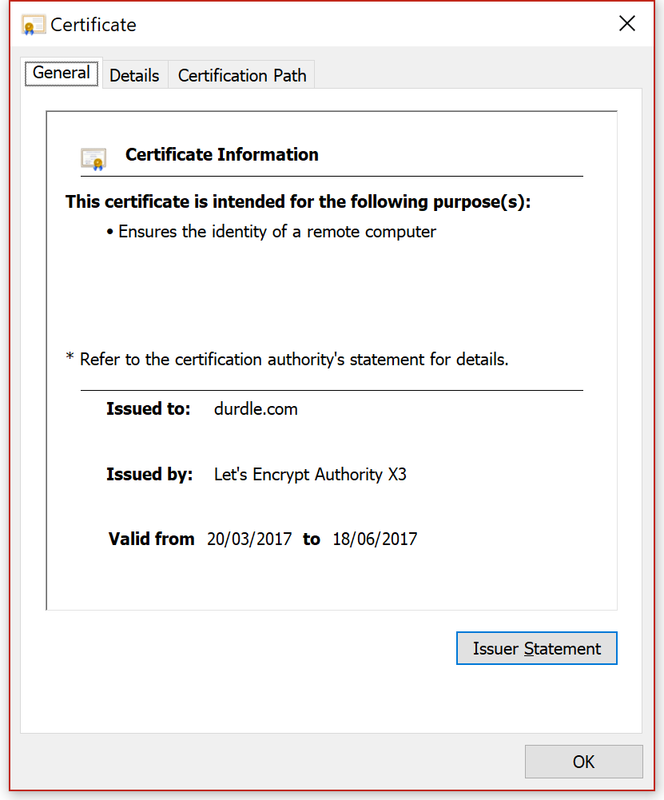 We still use “proper” cert authorities when we need wildcards or EV, but for everything else LE is increasingly usable.